KOKOMO, Ind. 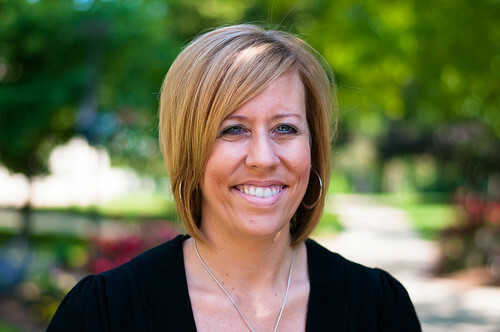 — Indiana University Kokomo welcomes Kelly Goad as the new Director of Development. Goad, who began her duties Monday, May 14, plans to build relationships with alumni, students, and friends of the campus, as she leads fund-raising efforts for scholarships and capital campaigns. "I am looking forward to sharing success stories of IU Kokomo," Goad said. "It is my goal to increase awareness of the great things we are contributing to north central Indiana, as well as how the community can engage with the campus," Goad said. Chancellor Michael Harris said building these friendships is key for the campus to reach its goals and potential. "We are going to be the best regional campus in the world," he said. "We need the support of our friends in the community to achieve that goal, and Kelly will help us make those connections." Penny Lee, vice chancellor for public affairs and advancement, said Goad brings "a wealth of experience in fund raising" to the campus, having served as director of the Howard Regional Health System Foundation and the Guardian Angel Hospice Foundation. "Kelly can also speak personally about the impact we have on our students and on our region, as one of our graduates," Lee said. Goad earned a bachelor's degree in communication arts from IU Kokomo in 2005, and a Master of Public Management in 2009.